Noelle joined Watsi on October 10th, 2015. 10 other people also joined Watsi on that day! Noelle's most recent donation traveled 8,200 miles to support Yabesera, a baby from Ethiopia, to fund corrective surgery. Noelle has funded healthcare for 21 patients in 8 countries. Htet Pel is a 50-year-old man who lives with his family in Mae Tha Lar Village, Kyain Seikgyi Township, Karen State, Burma. His main income comes from working as a lottery ticket seller, and he also works as a daily laborer. Ten years ago, Htet Pel severely burned his left hand when he was refilling an oil lamp with diesel near an open fire. His injuries healed, but scars developed. Eventually, the thickness of the scars made his fingers rigid and limited the movement of his fingers, until he could no longer grip anything. Htet Pel will undergo contracture release surgery to treat his condition and help him use his hands again. The procedure is scheduled for January 15 and will cost $1,500. He says, "After surgery, if my hand gets better I will work more to increase my family’s income." Yohana is a student from Tanzania. He is nine years old and is in second grade. Yohana lives with his parents, who are both maize farmers. 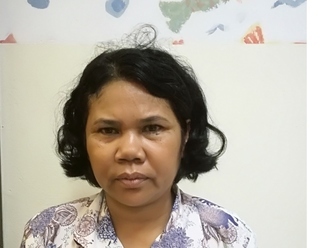 Several years ago, Yohana was burned while sitting near the fireplace in their kitchen. His clothes caught fire, burning the left side of his body. His parents took him to the hospital, where he was hospitalized for several months and was finally discharged. However, he has remained with burn contractures. Yohana cannot stretch his left hand or carry things. Fortunately, our medical partner, African Mission Healthcare Foundation, is helping Yohana receive treatment. On March 5, surgeons at their care center will perform a burn contracture release surgery. After recovery, Yohana will be able to attend school again, carry things, and play happily. Now, he needs help to fund this $608 procedure. Yohana says, "I will be happy return to school after getting treated. I miss my friends very much and can't wait to rejoin them." 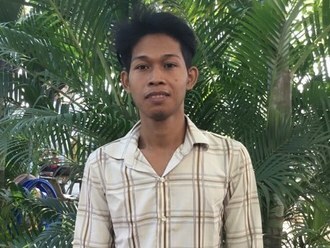 Nakry is a mechanic from Cambodia. He has a daughter and enjoys working on his farm. When he was two years old, Nakry had an ear infection. This infection caused a cholesteatoma, or an abnormal skin growth, to develop in the middle ear behind the ear drum. For this reason, Nakry experiences right ear discharge, hearing loss, and recurrent infection. It is difficult to hear and he has recurrent infections, which are uncomfortable. Nakry traveled to our medical partner's care center to receive treatment. On February 13, he will undergo a mastoidectomy procedure in his right ear. During this procedure, ENT surgeons will remove the cholesteatoma. Our medical partner, Children's Surgical Centre, is requesting $842 to fund this procedure. This covers medications, supplies, and inpatient care. He says, "I hope I can hear better than before." Stephanie is a student from Haiti. She lives with her parents and younger brothers and sisters in a neighborhood of Port-au-Prince. She is in the tenth grade and hopes to become a doctor when she grows up. Stephanie has a cardiac condition called severe mitral regurgitation. One of the four valves in her heart was severely damaged from a rheumatic fever she suffered in childhood. It can no longer pump blood adequately through her body, leaving her in heart failure. 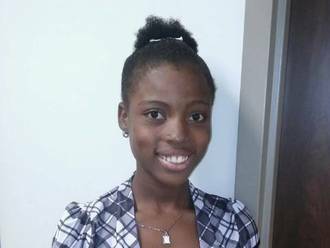 Stephanie will fly to Cayman Islands to receive treatment. 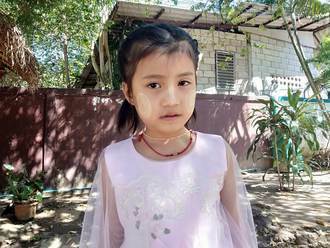 On December 15, she will undergo cardiac surgery, during which surgeons will either repair the damaged valve, or replace it with an implanted artificial valve. Another organization, Have a Heart Cayman, is contributing $24,000 to pay for surgery. Stephanie's family also needs help to fund the costs of surgery prep. The $1,500 bill covers labs, medicines, and checkup and followup appointments. It also supports passport obtainment and the social workers from our medical partner, Haiti Cardiac Alliance, who will accompany Stephanie's family overseas. She says, "I am happy to have this surgery so that I can walk to and from school without getting tired." Titus is a 37-year-old father from Kenya who lives with his wife and four-year-old child. Titus used to provide for his family as a bus driver, however he has been unable to work since a bus accident caused a fracture in Titus's left tibia. His wife now works on farms whenever she can. Because Titus's fractured leg has rendered him unable to walk, doctors have advised that he receive a bone transport. For his first bone transport, Titus organized a fundraiser with friends and family, however he unfortunately could not generate enough money to foot his hospital bill. 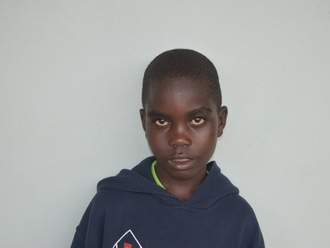 Our medical partner, African Mission Healthcare Foundation, is requesting $1,500 to fund a second bone transport for Titus, which is scheduled to take place on June 23. Without treatment, Titus will be at risk of malunion of his tibia, meaning that the fracture may heal improperly and permanently impede his mobility. “I want to be treated and be a providing father to my child," says Titus. Moe is a 21-year old man from Burma. He has eight siblings, but his parents passed away when he was 15. Moe worked in a restaurant kitchen until a medical condition prevented him from continuing with his work. Moe was born with a dark birthmark on his face. When he was 17, the birthmark began to grow, eventually creating pressure on his forehead and eyelid. Moe also experienced a growth on his thigh. When he was 15, he was playing soccer with his friends, and was kicked in the leg by another player. He felt a shooting pain in his leg, and has experienced ongoing pain since. He visited a local hospital, where he received an x-ray, and was informed that he would need surgery to address the cyst on his leg. Moe decided to use traditional medicine to treat the pain, which did not work. Having heard of Watsi’s program with our medical partner, Burma Children Medical Fund (BCMF), he decided to seek help. Doctors suggested the cyst be surgically removed On October 4, Moe will undergo a cyst excision procedure. He needs help to fund this $1,500 surgery. Moe said, "I love cooking, and am eager to return to work to the restaurant industry. With time, I dream of becoming a chef".